VirtualTablet supports pressure sensitivity drawing on Clip Studio Paint, also known as Manga Studio. In order to use brush with pressure sensitivity, please follow the instructions below. Open preference panel from “File – Preference” menu. 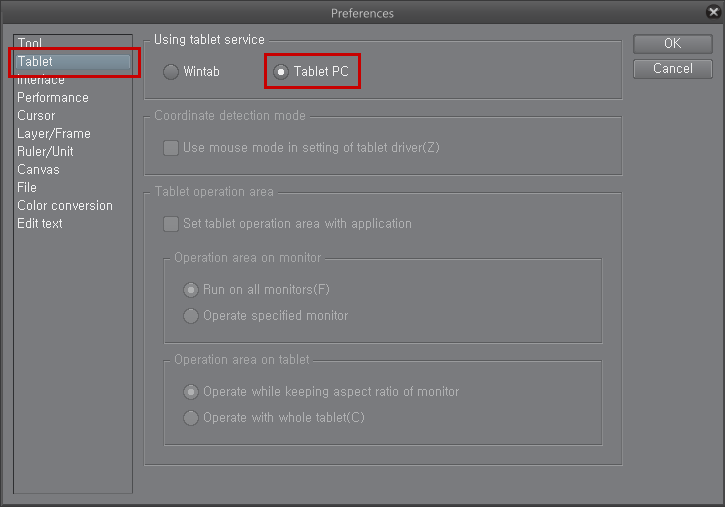 Select “Tablet PC” in Tablet section. 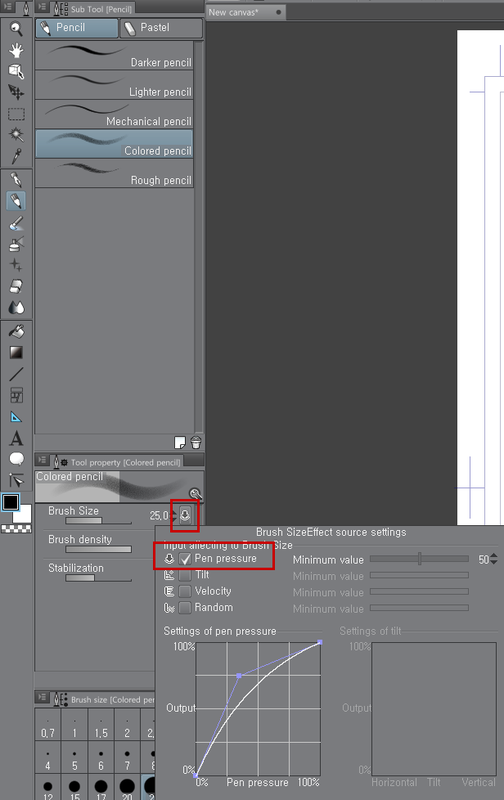 Select “Pencil” tool from toolbar open up option panel. Check on “Pen Pressure” item.